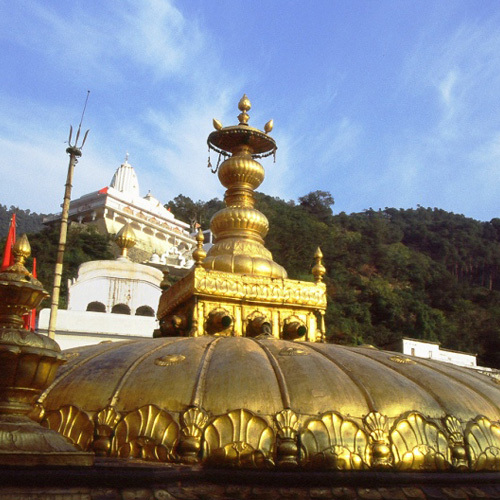 MCLEODGANJ: 9 km up from Kotwali Bazaar Dharamsala is the famous town Mcleodganj often called the ‘Little Lhasa’. This is the residence of His Holiness Dalai Lama. The Tibetan Government in exile has been here for almost four decades. 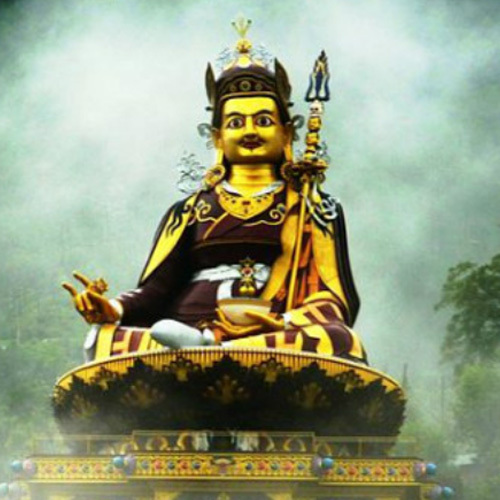 The impressive monastery has larger than life images of the Buddha, Padmasambhava and Avalokteshwara. A large Tibetan community and the presence of traditional architectural designs drawn from Tibet have enhanced the charm of the area. A host of Tibetan handicrafts and garments are available. Viewed from Mcleod Ganj, the Kangra valley sprawls below as far as the eye can see. Englishman Barnen’s description of this place in the Kangra gazetteer is worth reading: ‘No scenery, in my opinion presents such sublime and delightful contrast’. 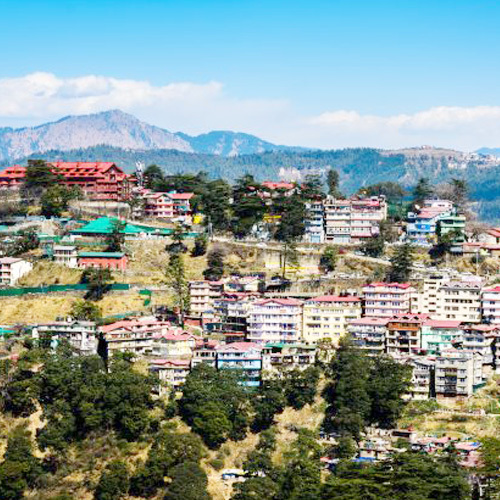 At 2,000 metres above sea level, McLeod Ganj is a place pulsating with life. It has a delightful mixture of eastern, western and Buddhist cultures, reflected in the people, in the shrines of worship and in its very name. A number of Residential buildings, restaurants, antique and curio shops, together with famous Tibetan institutions, some being “reincarnations”, as it were, of centuries old institutions in Tibet, have lent importance to Meclodganj. The Budha temple is situated opposite the present abode of his holiness, the Dalai Lama and is well worth a visit and around it are situated Tibetan monastery and nunnery. MARTYR’S MEMORIAL: Set amidst beautiful surroundings, this memorial was built in 1972, near the entry point to Dharamshala in Civil Lines. The war memorial was built to commemorate the memory of soldiers and officers of Kangra district who fought valiantly for the defense of Motherland in INDO-CHINA (1962) and INDO-PAK wars (1947-48, 1965 & 1971) and during some peace operations under United Nations Auspices. Features of the memorial are its three curved walls in black marble each 20 feet long and 24 feet high bearing the names of 1042 martyrs on five of its faces with a mural on the sixth. Rising from a circular shallow pool having a central bowl and 21 water jets, these walls signify the three wings of the “Armed Forces”. On selected evenings in a week, the monument is flood lit and the fountains burst forth in full splendor. Outside the gate of the memorial are a disused Pattan Tank captured in 1971, INDO-PAK war and a Gnat, a light jet aeroplane, successfully used by the Indian Air Force in the same war. TRUIND: For adventurous people nothing can be more enjoyable than a 8-km climb from McLeod Ganj to Triund located at a height of 2,827 metres above sea level. Here you get a face to face view of towering snow-clad Dhaula Dhar range. On a clear day you can also have a spell-bounding view of hills and valleys below. In spring the hill slopes of the path leading from McLeod Ganj to Triund are abloom with lots of wild flowers like the flame of the forest, holly hock, gladioli, hydrangea and so on. For weary travelers, there is a forest rest house at Triund to rest and sojourn. Five kilometres above Triund, the snowline starts at a place called Laka, presenting a breath-taking view of the snow above and the Kangra valley below. DHARAMKOT: 1 Kilometer above McLeod Ganj a village called Dharamkot inhabited by the Gaddis (hill tribals) nestles amidst scenic beauty at 2,100 metres above the sea level. Besides offering a panoramic view of the Dhaula Dhar range of mountains, Kangra valley and the Pong Dam, the village once had a gallery of paintings of a well-known English painter “A. W. Hallot”. Today Dharamkot is a favourite picnic spot. NADDI: At 2,000 metres above the sea level and about two kilometres from Mcleod Ganj, a modern picnic spot is developing fast at Naddi. It is connected with a metalled motorable road. It is the only place in Dharamshala from where an open view of mountains and wide valleys on Dhaula Dhar’s southern side can be seen. It is also a starting point for a trek to Kareri Lake, Guna Temple and Triund. Namgyalma Stupa: Surrounded by prayer wheels, this Buddhist stupa is located in the centre of McLeod Gunj. Erected as a memorial to those Tibetans who lost their lives fighting for a free Tibet, Namgyalma Stupa stands as a monument to the determination of a suppressed people to preserve their distinctive way of life against overwhelming odds. With a statue of the Sakyamuni Buddha enshrined in a small chamber, the stupa is built in the tradition of the third century Indian Emperor Ashoka and represents peace and progress. Church of St. John in the Wilderness: 7 km upward from Dharamshala, between Forsyth Ganj and Mcleod Ganj lies the charming St. John’s Church built with dressed stone and having beautiful stained glass windows, popularly called, the church of St. John in Wilderness. Under the shed of deodar branches, a memorial has been erected over the body of the then British Viceroy of India, Lord Elgin who died in Dharamshala in 1863. There is a well tended old graveyard on the grassy solves. Visiting hours for the church and cemetery are 10 am to 5 pm each. The church is small in size and was built in 1852 in the Gothic style. Its tapering high windows, the front and back sides of its building all seem to be in perfect harmony with the deodar grove which is a home to lots of monkeys, baboons and birds. In 1905 earthquake, the belfry of the church was completely destroyed. However, the rest of the building escaped damage. A new bell (built in 1915) was brought from England and installed outside in the compound of the church. The church witnessed a special event in 1992 when visitors from 39 countries participated in its service. KANGRA STATE MUSEUM: Museum of Kangra Art was opened on 17 January, 1990 to preserve, conserve and revive the rich cultural heritage of Kangra region. Museum is a treasure house of rich heritage of the valleys art and culture, located near Kotwali Bazaar at Dharmshala. Museum is still in infancy but now the collection is incresead to APPROX 1500 art objects comprising miniature paintings, textiles, sculptures, jewellery, coins and objects of cultural anthropology. The Shrine of Bhagsunag: The shrine of Bhagsunag, dedicated to Shiva, not far from a small but lovely waterfall. With in easy walking distance from the Meclodganj Bazaar in upper Dharamshala, It is 11 km from the lower town. Famous for its ancient temple, the tank and the spring are considered sacred by the Hindus. Chinmaya Tapovan Trust: Founded in 1978 by one of the finest proponents of the Bhagward Geeta and the philosophy of Vedanta- Swami Chinmayananda. The ashram complex amidst nature’s grandeur has a magnificent Rama Temple with the golden domes, a 9 m High statue of Hanuman, the asthadhatu pratima of Gurudev in the hall- a place of meditation and a health and recreation centre all located at distance of 15 km from Mc leodganj. The Tibetan institute of performing Arts (TIPA): TIPA is just a kilometer walk from Meclodganj, and preserves a number of music, dance and theatrical tradition of Tibet. There is also a Tibetan Handicraft centre situated at Meclodganj and flea market every Sunday at about ten minutes walk from Meclodganj. Norbulingka institute: This interesting institute was established to keep alive the traditional arts and crafts of Tibet. It is 18 km from Meclodganj. Dal Lake: Eleven kilometers above lower Dharamshala and next to the Tibetan Children Village is a miniature oval-shaped artificial lake called Dal lake, rimmed by fir trees. Though small in area, this lake has a charm of its own solely due to its surrounding forest and hills. The annual fair in September is largely attended by Gaddis and other hill men, taking a dip in the lake is considered sacred. Devotees believe that a bath in the lake fulfills any boon asked from Lord Shiva at that time.